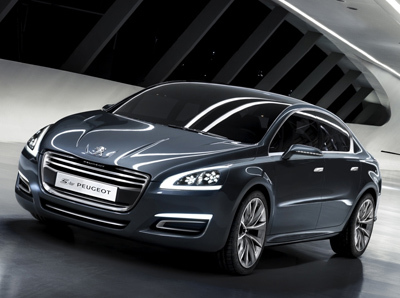 Home > Concept cars > Peugeot "5 by Peugeot"
The unusually name "5 by Peugeot" concept car is another indication of the changing Peugeot styling. 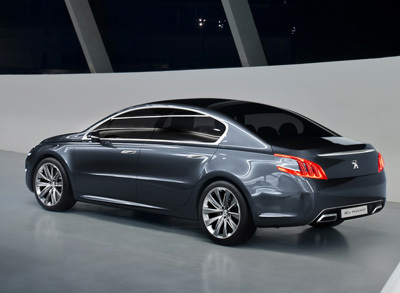 A change which began with the Peugeot SR1 concept from earlier in 2010. 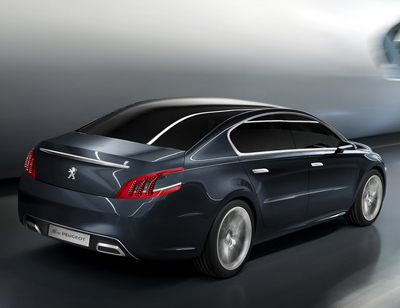 The "5 by Peugeot" is a luxury saloon with a level of fit, finish and refinement designed to help elevate the company's products into the next quality bracket. 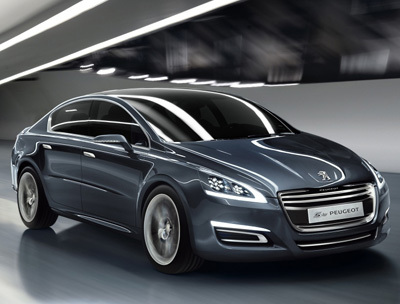 Powered by Peugeot's HYbrid4 technology the "5 by Peugeot" features a 2.0 litre HDi, 163 horsepower, diesel engine backed up by a 37 horsepower electric motor. This versatile setup offers a maximum output of 200 hp, an electric only mode for low speed operation, four-wheel drive when required, and low fuel consumption and emissions of 74.3 mpg and 99 g/km of CO2 or zero in electric mode. 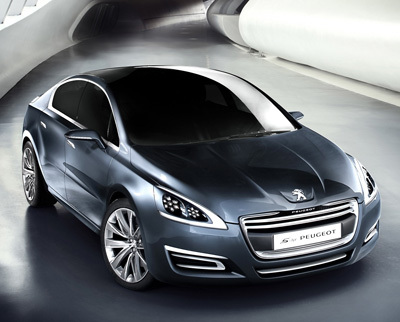 The exterior of the "5 by Peugeot" can hardly be described as beautiful. Unlike the SR1 concept which had graceful flowing lines, and really helped showcase the new Peugeot image, this concept is a mismatch of lines and surfaces which come together to form an awkward vehicle with peculiar styling elements. Hopefully any production vehicle the "5 by Peugeot" influences has a slightly more coherent appearance.